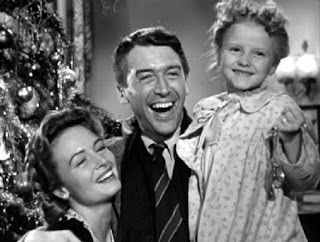 If you’re not familiar with the classic story, the movie follows a small town guy, George Bailey, in the mid 1920s-1950s. He has big dreams of going to college, traveling the world and having many adventures, but as his life unfolds he ends up taking over his family’s Building and Loan business in his hometown, getting married and having kids. Essentially, he lives the life that most simple Americans live. However, when a huge mishap happens at work, he seriously struggles with thoughts of suicide and thinking that the “the world would be better without me”. It’s at this point that his guardian angel, Clarence, comes to Earth and shows him just what a wonderful life he really does have after all. 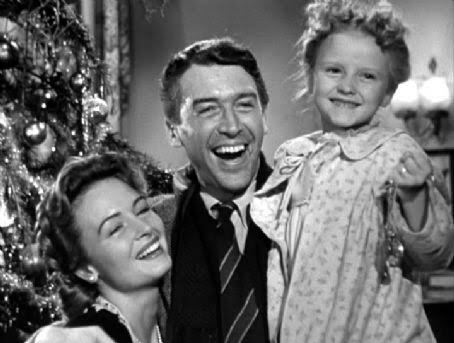 I watch this movie every single year and the part that really gets me every time is the end when Clarence works his magic so that George was never actually born. It was so gut wrenching to watch George try and talk to everyone in town about his night; none of them have any idea who he is, including his family and wife. Take a minute to think of all the people in your life that you interact with all the time…your partner, your parents, your closest friends, your co-workers, the barista at your favorite coffee shop, etc. What would the world be like if they had never met you? How would their lives be different without your love and support? I think during this time of year it is so important that we think of the impact we make on others, especially our students. Are we making a positive impact on those in our lives? Would those around be truly affected it we weren’t around? What about our students-just imagine all the questions, appointments, conversations, and all the moments in the between that wouldn’t have happened without us…In a world where the news is scary and we feel small, it’s always good to know that we make an impact every single day just by being in it. Have a good week!